During Blizzcon this weekend, Blizzard unveiled Hearthstone: Kobolds & Catacombs, the latest expansion for its popular digital card game. “Get ready to delve deep into an unexplored underground realm packed with malignant monsters, terrifying traps, and treasures beyond imagination! Gather your party for Hearthstone’s newest Expansion: Kobolds & Catacombs! The Kobolds & Catacombs adds a new single-player experience called Dungeon Runs, a new keyword “Recruit“, 135 new cards, and Legendary weapon collectible cards for ALL nine classes. As a “rogue-like,” defeat is permanent, meaning you’ll have to start a different run with a whole new deck. 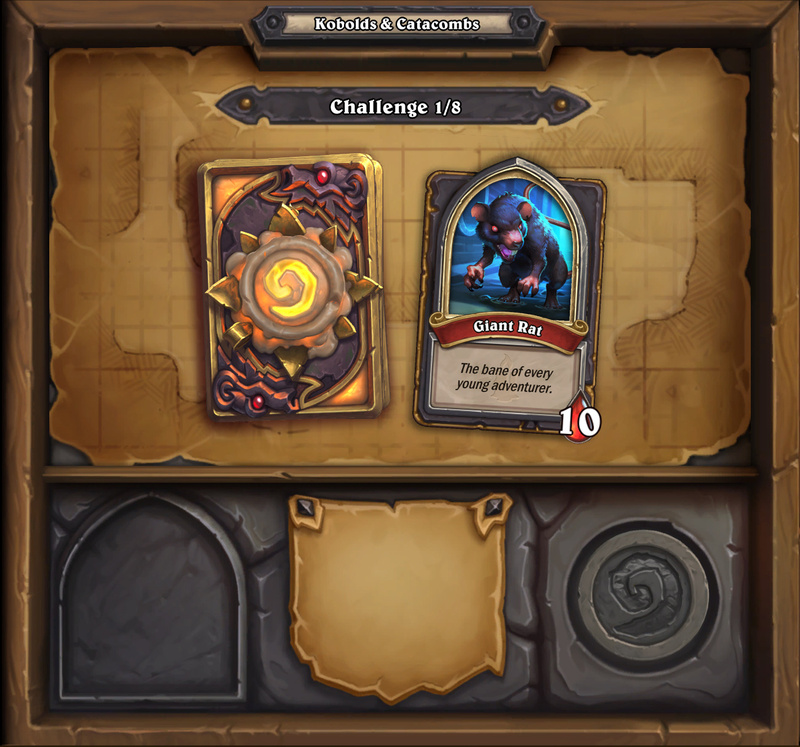 If you manage to complete a full Dungeon Run with each of the nine classes, you’ll add the Candle King card back to your collection. 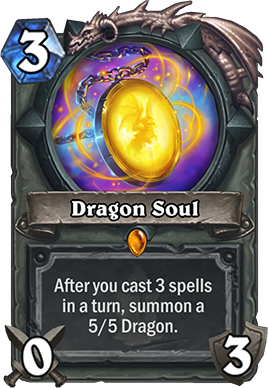 Kobolds & Catacombs brings the power of Legendary weapons to Hearthstone, and Dragon Soul is merely the first to be revealed. There are eight other magnificently potent artifacts for you to wield in the Catacombs, one for each of the nine classes in Hearthstone. Everyone can add Marin to their collection for FREE just by logging into Hearthstone, starting Monday, November 6th right up until Kobolds & Catacombs launches. 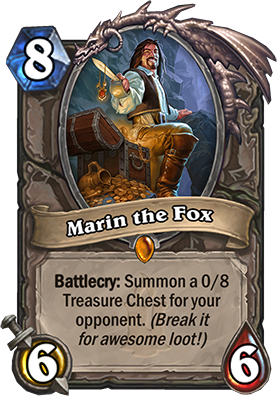 You’ll be able to add Marin to your decks and use him in games soon after Blizzcon, before Kobolds & Catacombs is released. 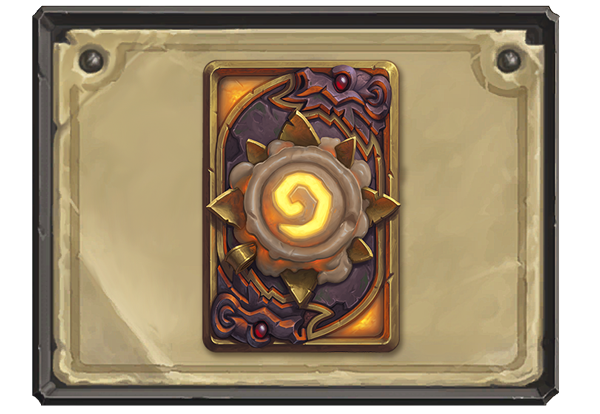 Marin the Fox and the Fox the Hoard card back will be available for use when Hearthstone update 9.4 arrives. 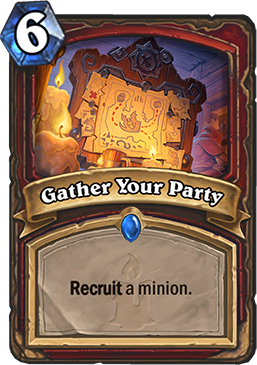 The new “Recruit” keyword allows you to summon a random minion from your deck. It shows up only on cards associated with the adventurer characters in Kobolds & Catacombs. Recruit introduces some interesting deckbuilding decisions, and because it sometimes comes with key limitations, such as mana cost, you’ll need to make careful choices about how many minions—and which ones—you include in your deck. While we don’t have an exact date yet for the Kobolds & Catacombs expansion, it is expected to arrive sometime in December. You can pre-purhcase 50 Kobolds & Catacombs Expansion packs now for $49.99. Doing so will reward you with the ‘For The Hoard’ Card Back.